You know how it is with some guys. Their beard always looks flawless – not a hair out of place. It even smells good. You think that came easy? Think again. A great-looking beard requires extra effort and commitment, just like anything else of value in this life. The man with that rocking beard has a beard grooming kit filled with quality products – including beard shampoo and beard wash. Beard shampoos and washes provide other positive benefits, too, which we’ll discuss later, but, for now, draw your attention to our best beard shampoo and best beard wash for 2019. Have at it, fellas. The more tools you have in your grooming kit, the better. Why and how often should you wash your beard? We like natural ingredients, so pay attention to the label on the container of the beard shampoo or wash you that’s caught your eye. Are there a lot of natural ingredients? If so, that’s good. A lot of chemicals? Not so good. Natural ingredients are an important factor when keeping your beard clean and healthy. They can be the difference between an itchy, irritated beard that’s plagued with beardruff and one that’s soft and manageable. Just because a beard wash or shampoo has a hefty price tag doesn’t guarantee that it’s high-quality. On the other hand, it doesn’t mean it’s a bad product, either, just like those that are inexpensive can be really good or really cheap. Compare the price to its ingredients, what reviewers have said about it, and even the container it comes in. As a general rule, thicker beard shampoos and beard washes tend to be better than those that aren’t. Always make sure that the scent of any beard grooming product – whether it’s balm, wax, oil, shampoo, or wash – has a scent that you find pleasing and that fits your style. Remember, the scent will be with you wherever you may roam. 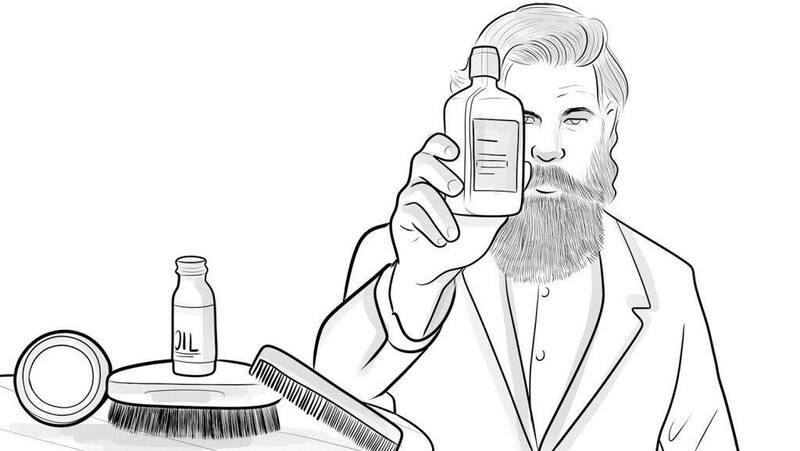 Now let’s dive into our reviews of the best beard shampoos and washes of this year. And now, from the land Down Under, we give you an annual contender for best beard shampoo. Yes, those Tasmanian (Australian) Devils on the Professor Fuzzworthy team have created a hit with their Beard Shampoo. It’s unique, it works, and it’s chock-full of natural ingredients. First, a quick look at what Professor Fuzzworthy’s shampoo is, specifically: it comes in a bar form, rather than liquid (like most shampoos). No, it’s not a bar of soap but a bar of shampoo that you apply to your beard – and a little goes a long way – and then store in a soap dish or metal rack. As mentioned, this is an all-natural beard shampoo that includes Leatherwood beeswax and honey. It gently cleans your beard while also giving it a healthy, shiny look that others will admire. The list of ingredients includes essential oils that keep the skin underneath your beard healthy. There are no parabens, synthetic fragrances, or artificial coloring. This is a versatile product that works on your head (as a shampoo) and as a body wash for all of your other parts. It has a pleasing scent that is woodsy yet subtle. Professor Fuzzworthy’s Beard Wash Shampoo contains several ingredients found in beard balm. That said, use less beard balm and oil, because this product has similarities that will save you money in the long run. 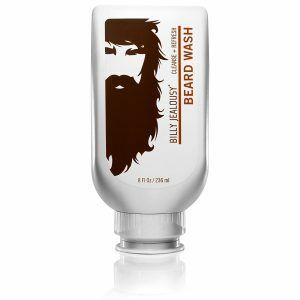 Don’t get us wrong: we want you to use beard balm and beard oil, but this beard wash shampoo may have the added benefit of extending the life of your beard grooming products. Users like how soft their beard is after using this shampoo. 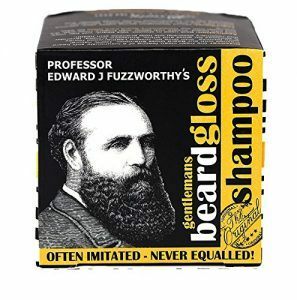 A quick note: because the Professor Fuzzworthy Beard Wash Shampoo doesn’t include the synthetic ingredients that keep a regular bar of soap hard, it may dissolve quicker. That said, using it outside of the shower can increase its lifespan. Mount Wellington spring water, olive, coconut castor oils, soy wax, Leatherwood beeswax, Leatherwood honey, Tasmanian Seaweed extract, cocoa powder, essential oils. The Billy Jealousy company is proud of its grooming products and has the hardware to back it up. Their Beard Wash, for instance, took first place in the 2014 Esquire Grooming Awards. It’s lost none of its effectiveness since then, either. Their primary goal, however, isn’t to win awards but to make sure that they live up to your commitment to taking care of your beard. They’re serious about their products, and they want you to be serious about your grooming. This wash does a lot of different things, not the least of which is giving your beard a thorough grooming while preventing embarrassing moments, such as beardruff flakes settling on your clothes during your workday (there’s nothing quite like noticeable flakes on your best suit while you’re giving a presentation). 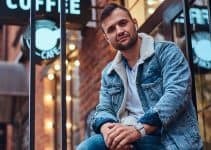 But whether it’s stubble or a heavy beard, Billy Jealousy Beard Wash will get rid of the buildup of dirt, sweat, and oil that plagues every man – not just on their facial hair, but also the skin underneath. It’s made of a sulfate material that gives your beard a thorough cleansing without drying it out or matting it down like other washes and shampoos. Aloe leaf and soy protein – which soften and hydrate your facial hair. Honey extract – which moisturizes and protects. Green tea extract – which includes antioxidant properties that will help slow the visible effects of aging. Green tea extract also helps soothe irritation. There’s nothing ‘fancy’ about this beard wash, other than the fact that it gets the job done. We also like the plant-based conditioners for conditioning and nourishing the beard. Water, Cocamidopropyl Betaine, Decyl Glucoside, Aloe, Hydrolyzed Soy Protein, Honey Extract, Green Tea Extract, Butylene Glycol, Lecithin, Polysorbate 20, Xanthan Gum, Tocopherol, Methylchloroisothiazolinone, Methylisothiazolinone, Fragrance. For a brand that’s only been around for three years, UK-based Seven Potions is certainly making a name for itself, thanks to its premium beard care products. And its Beard Shampoo for Men is no exception. For one, it’s good for men of all skin types and provides extra moisturizing without irritating your facial skin. That said, it’s also ideal for treating dry facial hair. The Seven Potions Beard Shampoo for Men is an effective combatant in the fight against the dreaded beard itch. It keeps your beard soft and doesn’t strip your skin of its natural oils. Because it replenishes your natural sebum oils, it also reduces dandruff and split ends. 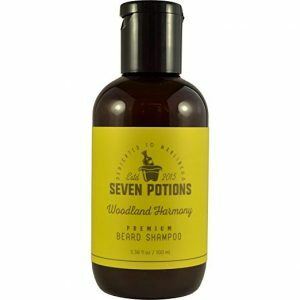 Seven Potions makes its beard shampoo with 95% natural and organic ingredients. The shampoo contains no parabens, artificial fragrances, or colorants. You only need to use a small amount to create a rich lather that helps thoroughly massage your entire beard. You’ll enjoy the Beard Shampoo for Men’s sweet, woodsy, and manly scent that’s 100% natural and won’t leave your beard smelling “soapy” like other beard care products. Water, Capryl Glucoside, Cocamidopropyl Betaine, Vegetable Glycerin, Sodium Benzoate & Potassium Sorbate, Hydrolyzed Wheat Protein, Xanthan Gum, Citric Acid, Phenoxyethanol, Aloe Vera Leaf Powder, Organic Blackcurrant Seed Extract, Organic Lime Extract, Cedar Wood, Sandalwood, Mix of Premium Essential Oils. OK, we’ve checked out what our friends from Down Under have to offer. Now let’s see what’s going on in Great Britain. 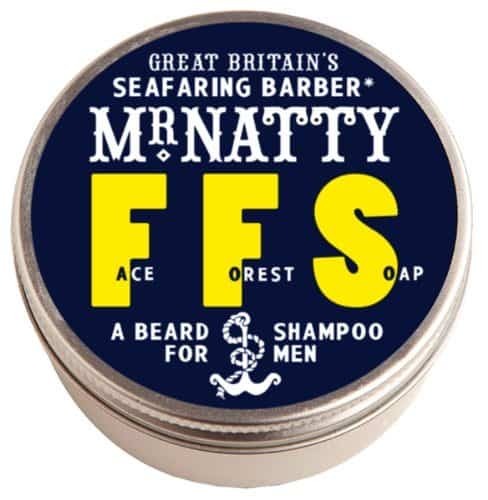 Mr. Natty’s Face Forest Beard Shampoo is going on, that’s what. 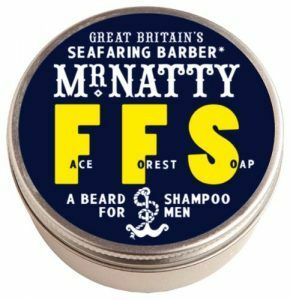 Our friends at Mr. Natty’s have an excellent beard shampoo that would be a great addition to any man’s beard wash kit. And, if you’re looking for the best shampoo for beard dandruff, this is a product that’s worth checking out. Well, for one reason, Mr. Natty’s includes Shea butter as one of its ingredients, and Shea butter protects dry skin that can be a struggle for many beard wearers. Your skin will be moisturized, which reduces itching and the dreaded beardruff flakes. If your skin gets irritated and itchy, this the kind of shampoo you’ll want to choose. The Face Forest Soap Beard Shampoo is also synthetic-free – which we always appreciate – and has a natural scent that isn’t overpowering. Mr. Natty’s also includes olive oil, which is high in antioxidants and helps keep your skin hydrated and smooth. Like other top-quality shampoos and washes, Mr. Natty’s Face Forest Beard Shampoo acts as an all-in-one beard conditioner and skin conditioner. It certainly makes for the best beard shampoo and conditioner out there, and we also think it’s great for beard growth. Face Forest Soap Beard Shampoo comes in a tin like a beard balm and wax and with a similar consistency. Let it soften a bit before applying it to your beard. Rosemary, Shea butter, natural peppermint, olive oil, limonene, linalool. Handcrafted is how they do things at Spartans Den, and their excellent Premium Beard Shampoo is no exception. 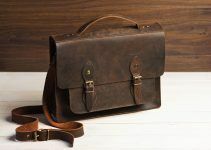 For them, handcrafted means – among other things – that their products are made in small batches to ensure a high level of quality. It’s hard not to appreciate that attention to detail, and you’ll think so, too, after trying out their beard shampoo. You’ll also like how it feels on your beard and skin. 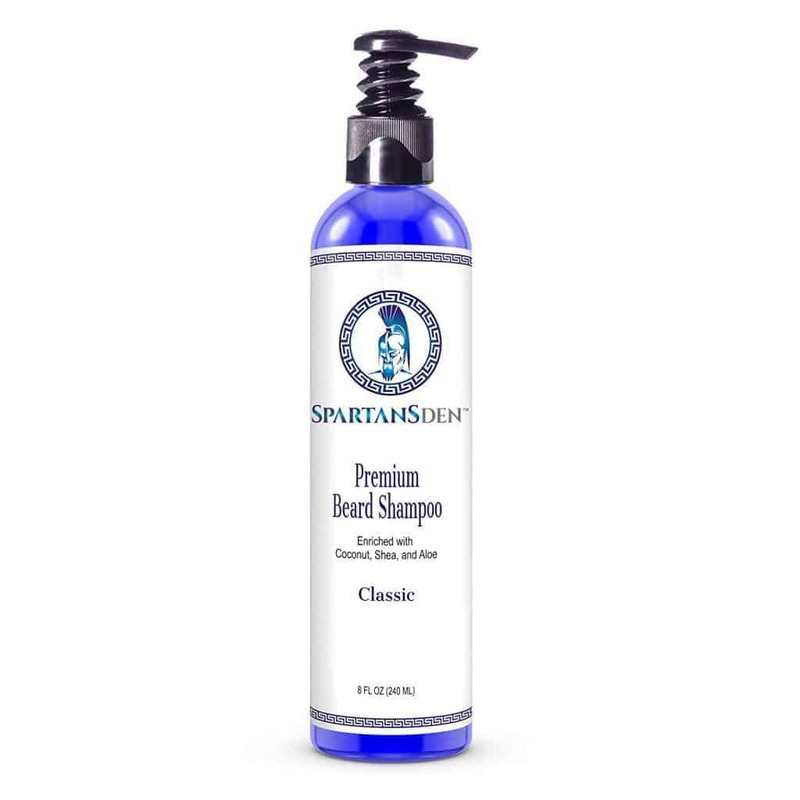 Spartans Den Premium Beard Shampoo includes aloe vera, a proven fighter against skin inflammation, allergies, and other pesky irritations. It also contains shea oil and coconut oil, which soothe the skin while softening the beard. Remember, using a beard shampoo is part of your routine if you’re serious about keeping your beard soft. Keeping your beard free from beardruff and itchiness is another important strategy of your beard grooming plan, and Spartans Den Premium Beard Shampoo is up to the task. But, all those attributes aside, an obvious function of any shampoo is to clean your hair – beard or otherwise – and Premium Beard Shampoo is great for removing dirt and grime that accumulate over time. Better yet, while you’re cleaning your beard, you’re also making it thicker, more manageable, and healthier. Along with the other essential beard grooming products (balm, wax, beard oil, beard brush), Spartans Den works with you to give you a worthy beard. 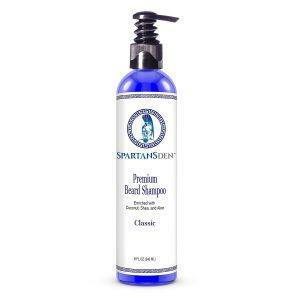 Here’s another plus: Spartans Den Premium Beard Shampoo smells great. Its unique, masculine scent isn’t overpowering but still noticeable. You’ll love the way your beard smells, and so will those who love to get close to you. This beard wash is also easy to apply as it comes in a pump-style bottle. A little bit goes a long way, too, as just a couple of pumps will produce a nice, rich lather. Finally, Spartans Den Premium Beard Shampoo is very affordable. If you’re on a budget but don’t want to skimp on the quality of your grooming products, then this shampoo is a good choice for you. Aqua, Eau, Argan Oil, Grapeseed Oil, Coconut Oil, Avocado Oil, Aloe Vera Gel, Jojoba Oil, SLES, Methylparaben, Lauramide DEA, Lauryl Glucoside, AXS, Parfum, EDTA Citric Acid, Propylene Glycol, ALS, Diazolidinyl Urea, Propylparaben, Sodium Chloride. Cleaning your beard, cleaning your skin – why not do both at the same time? 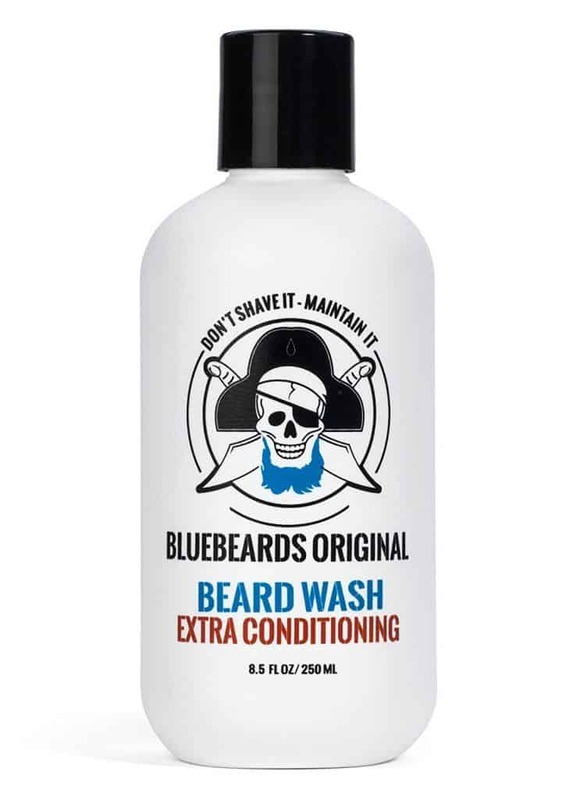 With Bluebeards Original Beard Wash with Extra Conditioning, you can do both – which is a two-for-one option we like – and one we especially like when you consider that many traditional shampoos and soaps kind of clean your beard while drying out the skin underneath. Why bother with a product like that? There’s no “kind of” when it comes to Bluebeards Original Beard Wash. You’ll give your beard a deep cleansing, while the combination of lime, Provitamin B5, and aloe clears clogged pores and conditions the skin. The result is a beard that has great texture and skin that won’t be flaky – goodbye beardruff – and won’t itch. 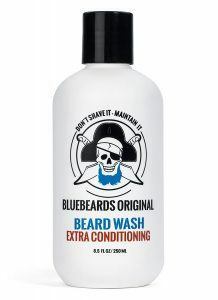 Furthermore, traditional shampoos and soaps can leave a sticky residue behind on your skin, but not Bluebeards’ signature beard wash. This wash also will soften your beard and make it manageable. More manageable means it’s easier to style, so say goodbye to that unruly beard that has defied your previous efforts. Again, that’s the magic of aloe, as well as the other conditioning agents found in this wash.
Let’s also give a hat’s off to Paul and Moira Kaniewski, who founded Bluebeards in 2005 because of their quest (well, Paul’s for sure) for something that would not only take care of beard itch but also keep a man’s beard looking well-maintained in the process. Located in Pittsburgh, Pa., the Kaniewski’s still like to refer to their business as a “mom and pop” shop. They offer a wide variety of beard products while maintaining that friendly, local business vibe. It’s clear with their Original Beard Wash that they know what they’re doing. 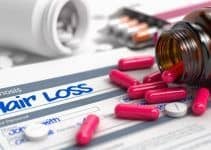 Purified water, Decyl Glucoside, Cocamidopropyl Betaine, Glycerin, Xantham Gum, Propylene Glycol, Honey, Vitamin E, Aloe Vera Leaf Juice, Panthenol, Lecithin, Citrus Auranitfolia, Phenoxyethanol, Caprylyl Glycol, Sorbic Acid. You have to love Wild Willie’s philosophy: man up, grow a beard, don’t be afraid to stand out, and never worry about what others think of you. Indeed, it’s part self-help, part beard grooming, but, if it gets you off the couch and into a whole new relationship with yourself and your beard, then so be it. 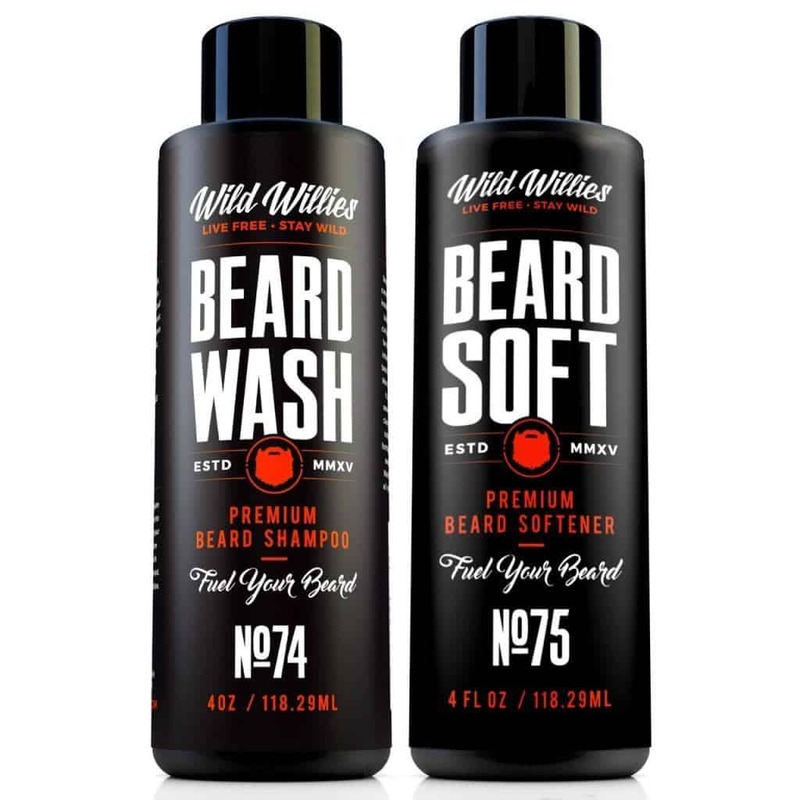 Wild Willie’s backs it up with great products, too, including their Beard Wash and Conditioner Bundle, which is the best beard wash and conditioner combo you’re likely to find. Throw in their top-quality beard balm, and you’re going to see some serious progress in getting your beard in tip-top shape. But let’s take a closer look at their Beard Wash and Conditioner Bundle. Yes, Wild Willie’s implores you to man-up, but that doesn’t they want you to have a rough, unruly beard. On the contrary, they want your beard to be soft, manageable, and clean. They’re confident their Beard Wash and Conditioner will help you accomplish that, and we think it’s definitely on the list when it comes to best beard-softening shampoo. They make a strong claim for using all-natural, organic ingredients, and the shampoo and conditioner are paraben-free. Their products also are handmade. The shampoo nicely does what it’s supposed to do – clean the dirt and other gunk from your beard – while the conditioner protects your beard while softening it. In turn, that gets rid of aggravating beardruff and itching. 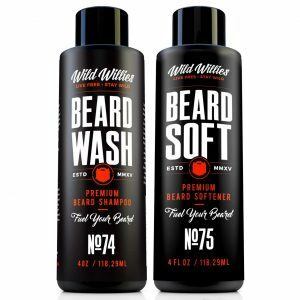 Wild Willie’s beard wash combines vitamins and oils to give you the kind of healthy shampoo you deserve. It also includes peppermint and eucalyptus oil, which will give your beard a clean, tingling feeling after shampooing. Water, Decyl Glucoside, Lauryl Betaine, Xantham Gum, Aloe Vera, Citric Acid, Benzoic Acid, Dehydroacetic Acid, Vitamin E, Peppermint Oil, Eucalyptus Oil, Lemongrass Oil. The best way to wash a beard doesn’t involve using the same shampoo you use on your head. Far from it. In fact, using that shampoo is bad for your beard, which we’ll talk about a little later. That’s why you need to use a beard shampoo that keeps your beard looking and smelling good but won’t mess with the oils that are essential for a healthy beard (and we’ll talk about that later, too). 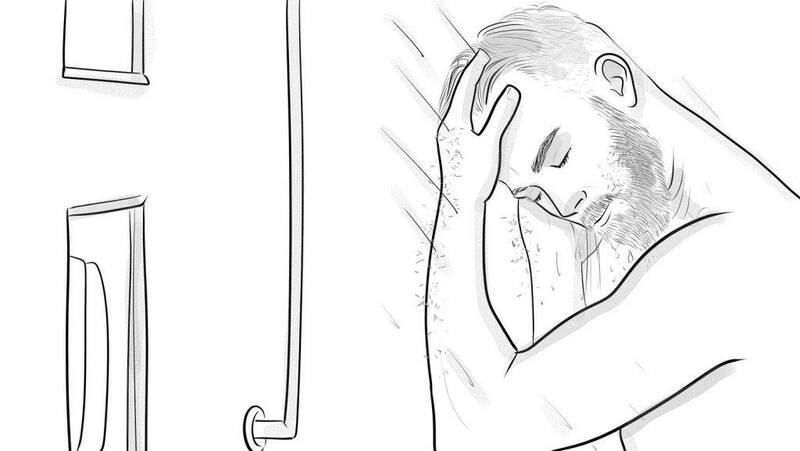 For now, let’s stick with how to wash a beard, which seems simple enough. Deceptively simple, that is. 1. First, a quick note. You should shampoo your beard with the same mindset you use while washing your head hair, i.e. be sure to scrub deeply enough to cleanse the skin underneath your facial hair. 2. 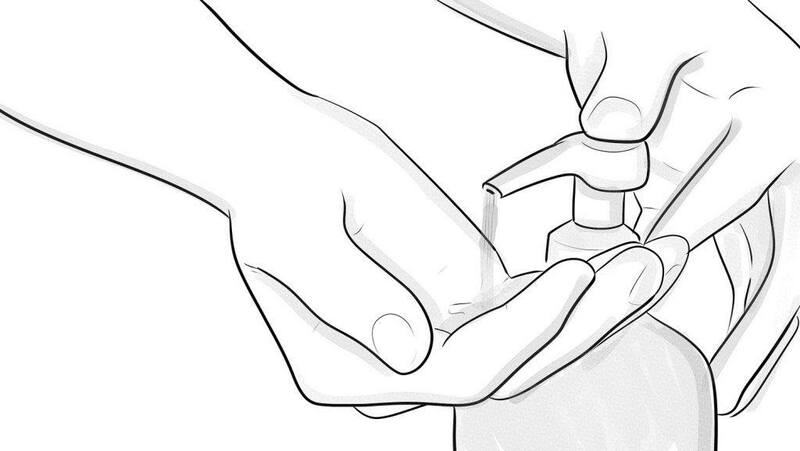 Moisten your beard with water, whether from the shower or your bathroom sink. We recommend the shower, as the warmth and humid air will loosen the pores beneath your hair follicles. 3. Apply a small amount of beard shampoo – but enough to work up a good lather. The nice thing about many of the top-quality beard shampoos is that it doesn’t take a lot of product to get a beard full of suds. 4. 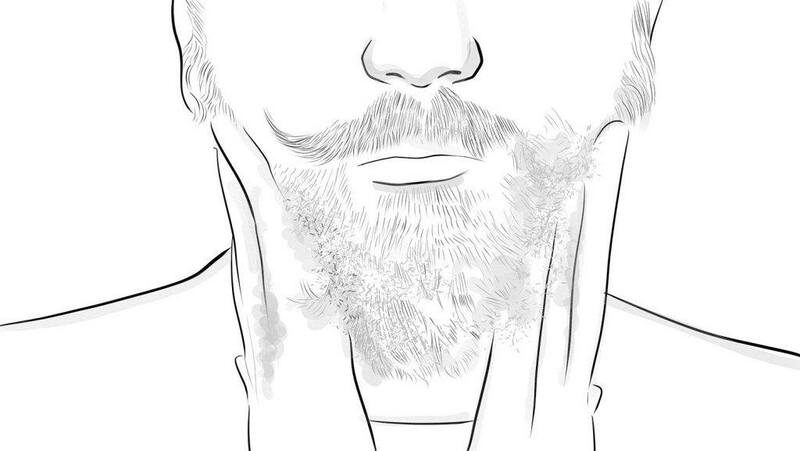 Using the tips of your fingers, deeply scrub the shampoo from your skin to the tips of your beard hairs. Apply it so that you’re shifting your hair in different directions. Some experts suggest that you scrub a bit more aggressively with a new beard, because it will stimulate the hair follicles and encourage better growth. You can also check out our handy guide for properly growing a beard. 5. Pay attention to the temperature of the water. Very hot water will dry your skin and slow the development of your beard. Warm water, which opens the pores, is your best choice. 6. Rinse with water – again while moving your hair in all directions – while making sure that there’s no leftover shampoo residue. 7. Dry your beard thoroughly, because excess water can irritate your skin. It’s best to dry it by passing a clean towel gently throughout the area. Remember: gentleness, not forcefulness, when it comes to drying your beard. 8. Finally, apply some high-quality beard oil, balm, and/or wax and comb it into the shape and style that you desire. Use the best beard comb or beard brush you can afford. 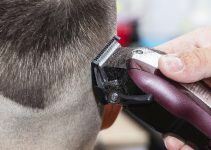 Combs and brushes serve different purposes when styling and maintaining your beard, so be sure to check out our best comb and brush reviews. We’ve touched briefly on why to wash your beard. Let’s look a little deeper. 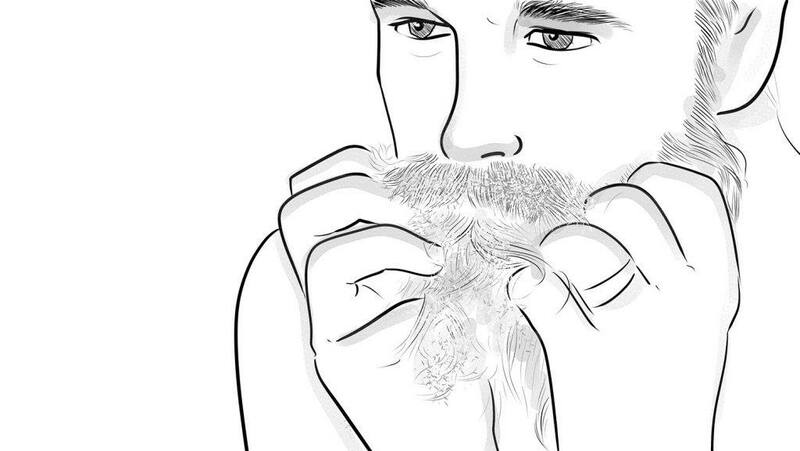 Unless you like leaving bits of food in your beard or don’t mind that your glorious facial hair smells like your friend’s (or your own) cigarette or cigar, then you need to keep your beard clean. No ifs, and, or buts about it. A clean beard helps give you a healthy appearance overall. We know that beards exude confidence, but it will be difficult for people to take you seriously if a portion of today’s lunch – or last night’s dinner – is stuck in your beard. There’s no way to avoid the dust, dirt, and lasagna that can accumulate in your beard on a daily basis, but there’s no excuse for not getting rid of it. Washing your beard will keep it soft and manageable. Shampoos and washes meant for your beard won’t dry out your hair follicles but will instead help moisturize them. In turn, your beard will have a healthy look and be soft to the touch – not wiry like a brush. Washing your beard will get rid of the dead flakes of skin that often form underneath the beard’s surface and form beardruff. You’ll help to prevent beard itch and other irritations that – at their worst – can make you question your decision of growing a beard in the first place (It’s OK to question it, but never give up on it). So, all that said, should you wash and shampoo your beard every day? The question of how often you should was your beard will inspire a variety of different answers, but the consensus is that you don’t want to overdo it. Washing your beard every day with beard wash or shampoo increases the likelihood that you’ll strip the natural oils from your beard that are so essential to its overall health. In turn, that will dry and potentially damage your beard. So, what’s the right number? That depends on your beard, but washing it two or three times a week should suffice. There’s no harm in washing your face – the part not covered with a beard, that is – twice a day, but give your glorious manscaping a breather. Don’t feel alone if you’ve wondered why you can’t use the same shampoo on your beard as you do on your head. A vast majority of beardsmen have had the same thought. Let’s start by saying there’s a reason why there are so many beard shampoos available, including the quality ones we list here. It’s not because it’s a marketing ploy to get you to buy more grooming products. It’s because beard shampoo and wash were designed to clean your beard, and there’s a difference. Shampoo for your hair has two primary purposes: to clean your hair (of course) but also to rid it of oil that will it look greasy (and more greasy) if left unchecked. It does that by stripping the sebum oil from your skin that also makes your hair stick together in a greasy, unwashed mess. Regular shampoo typically accomplishes these things through the liberal use of chemicals. Beard shampoos and washes don’t contain the harsh chemicals found in regular shampoo. Why? Because good shampoo manufacturers know that the natural oils produced by your skin are vital for the overall health of your beard. Indeed, the sebaceous glands at the root of each one of your hair follicles are responsible for ensuring that your beard is moisturized and well-nourished. The chemicals in regular shampoo will scrub the oils (and dirt) from the follicles. Again, you need the oil for a great-looking beard. The bottom line is that quality beard shampoos will clean your beard but also leave the oils in. They’ll also help wash away the dead skin cells – which come with not shaving – and alleviate irritation, itching, and beardruff. Using a regular shampoo on your beard onlywill make it worse. Finally, without the oils, your beard will look dry, frizzled, and prone to split ends. We assume that’s not the look you want. There are plenty of other reasons why should use beard shampoo. As you’ve probably noticed, your beard traps smells, such as food odor and cigarette smoke, but a good beard shampoo will wash those away. OK, so there’s no secret code. What there is, however, is a lot of research, personal experience, and sifting through customer’s reviews. We like products that generate strong sales while delivering quality results. While we haven’t tried every beard wash or shampoo on the market, because we don’t have the resources to do so, we’re confident that the best washes and shampoos listed above will serve you well. That’s all for now. We always welcome your comments and suggestions, including your experiences or preferences when it comes to beard wash and shampoo. This blog post not only introduces 7 best beard shampoo’s it also contains guides, tips and all the info needed by men who have beards or are trying to grow one. I really like this blog, every blog update is full of information.